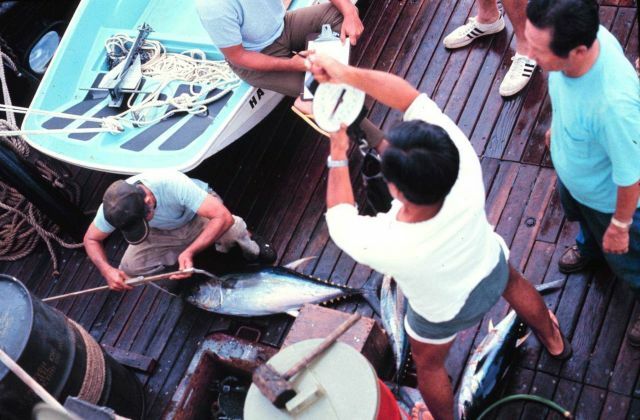 On NOAA Ship TOWNSEND CROMWELL measuring yellow-fin tuna. Ca. 1973.